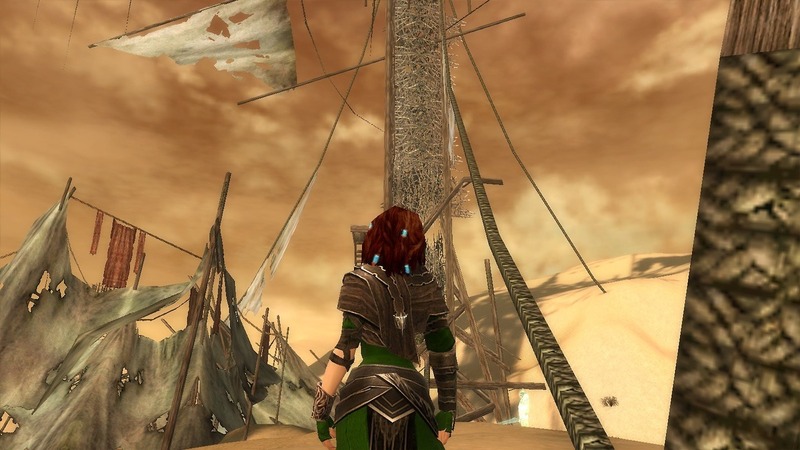 Lots has changed in the 250 years between Guild Wars and Guild Wars 2. I`ve begun taking a photo record of the changes seen in the game, travelling to different places in order to get an idea of what is what. 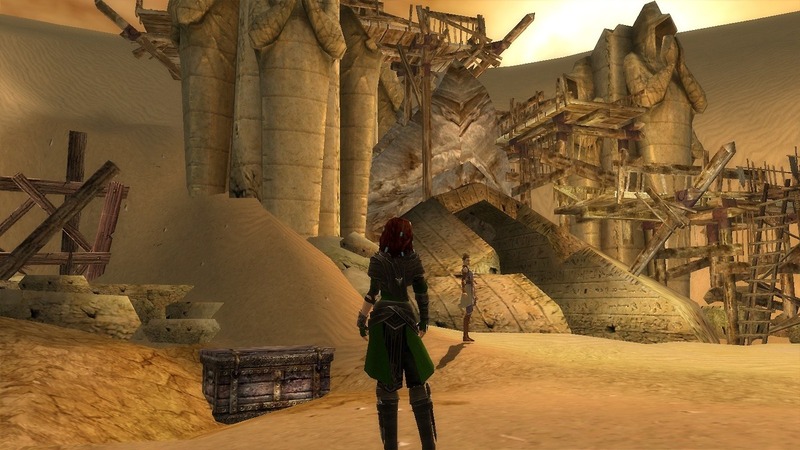 Path of Fire has really sparked a want to find all of the locations and compare them to what it`s like 250 years later. 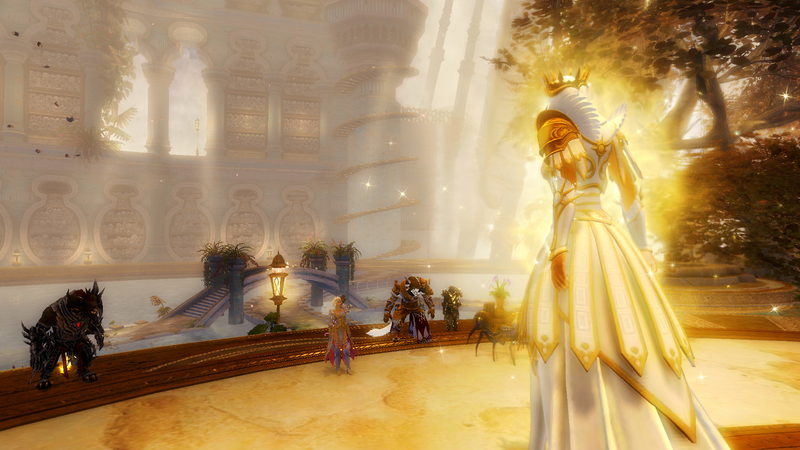 To start, the Amnoon Oasis. 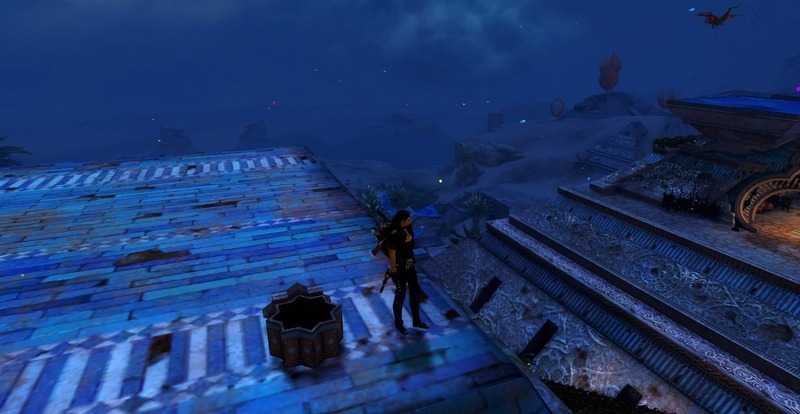 250 years ago, the Amnoon Oasis was nothing more than a small way station with nothing but ramshackle tents and a small dock. Who can forget the Xunlai Chests. 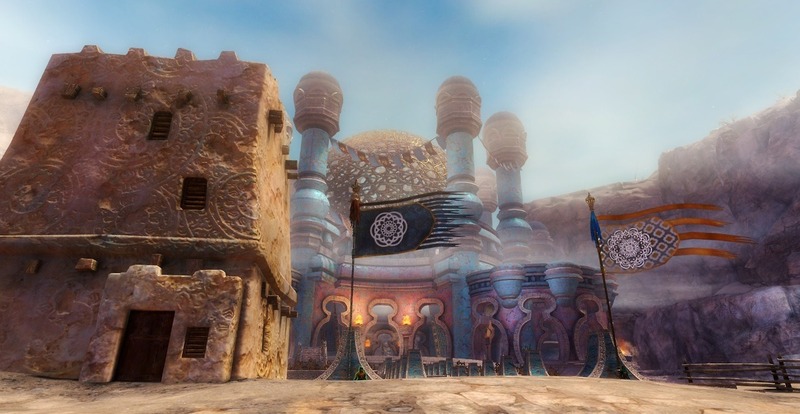 Today, Amnoon Oasis is a bustling centre of commerce and trade. There`s still tents that surround the city, but there`s also a good number of magnificent structures that have been built. The first stop in a tour of comparison. 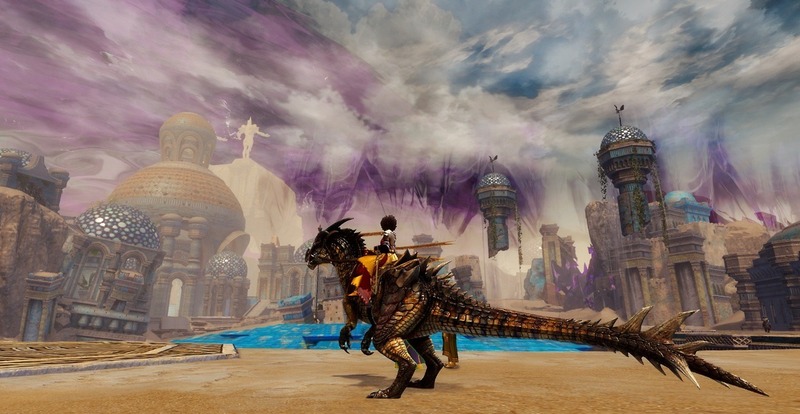 I`ll continue on with this with more pictures, and if anyone wants to add comparison shots between any region of Tyria, then and now, feel free to do so. 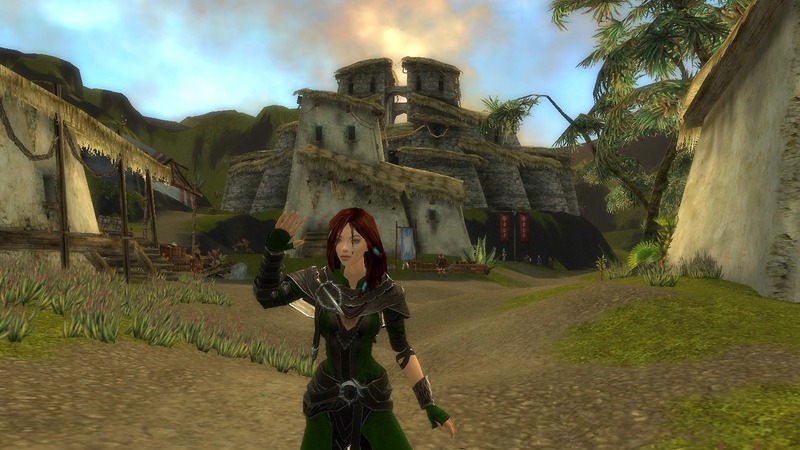 Elona Reach is the next stop on the tour. 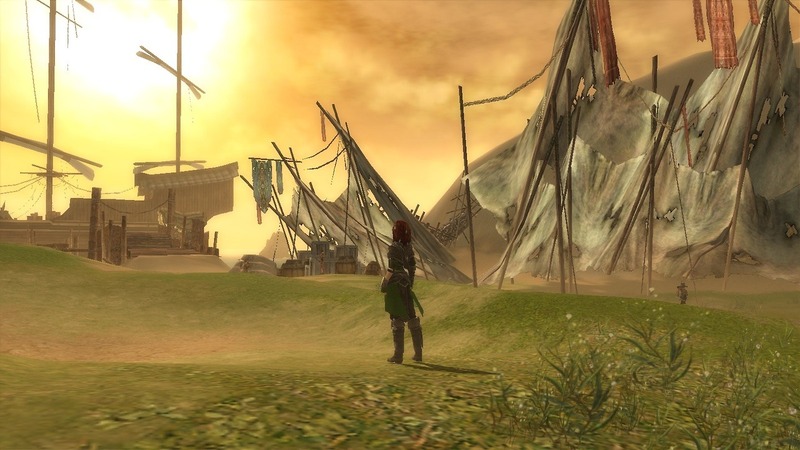 Today, we know of Elona Reach to be a small village that sits dangerously close to a Forged camp. 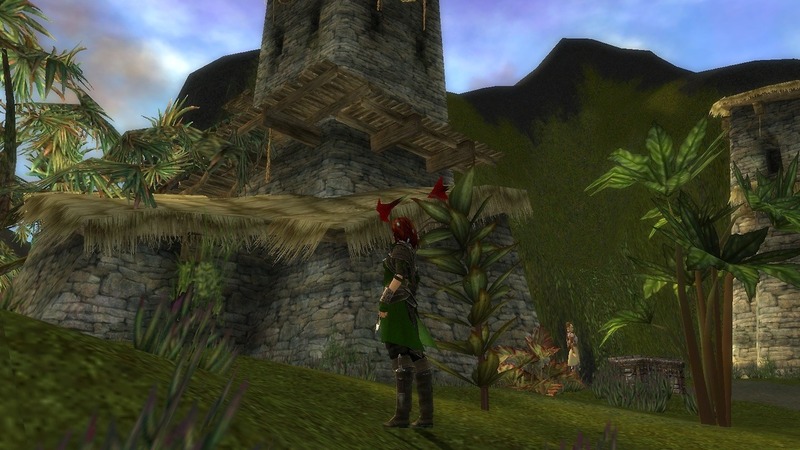 The village sits in the protective shadow of an impressive temple to Kormir. 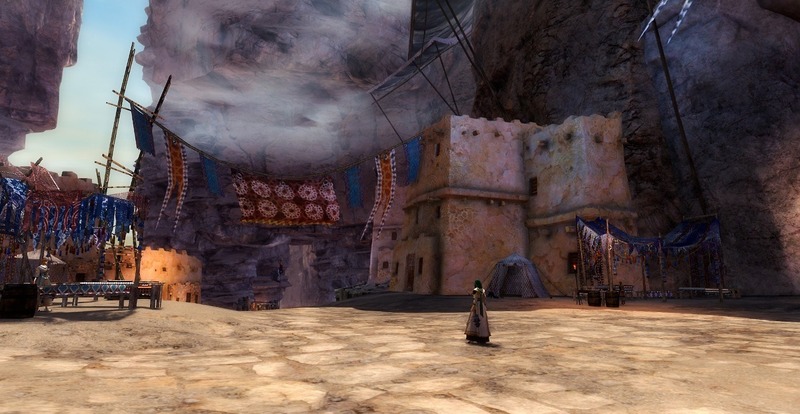 But 250 years ago, Elona Reach didn`t even have the tents that dotted Amnoon Oasis. 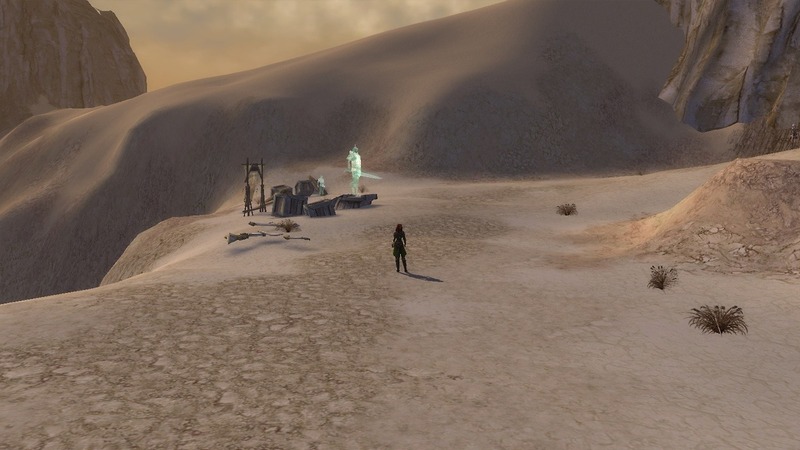 All that made up Elona Reach was strewn remnants of the Margonites, relics of a time when the Crystal Desert was known as the Crystal Sea. 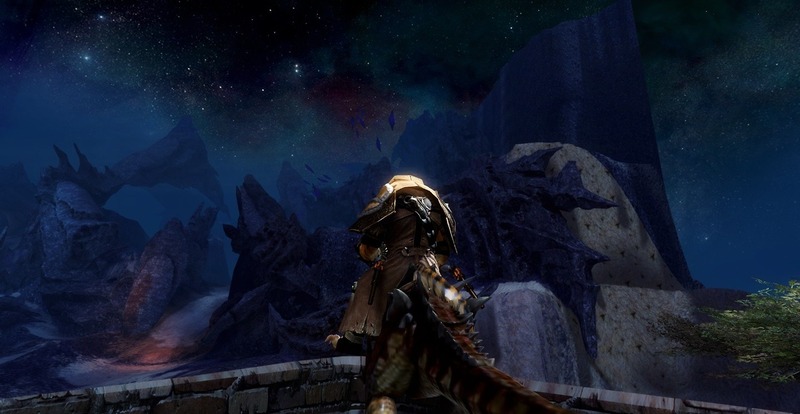 I stopped at Factions but seeing the two back to back really makes you appreciate how beautiful PoF is. I don't necessarily have a 'now' aspect for this one at all. The reason being is the focus which is placed on one single organization. 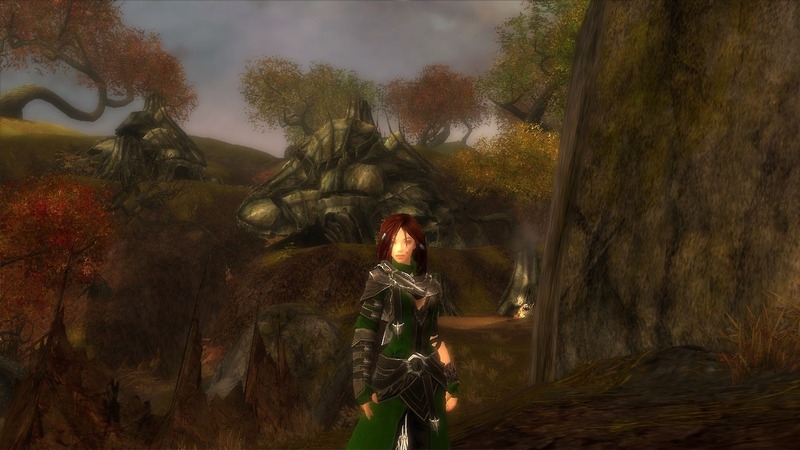 Pylia Temililu in norn paragon armour. 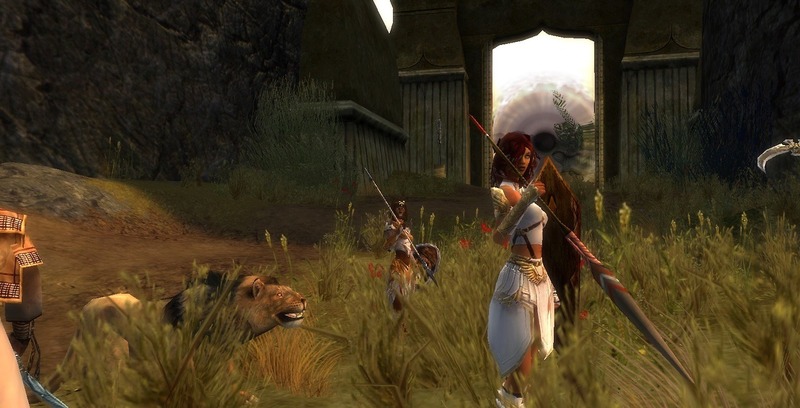 The central aspect of the Sunspears was the Paragons. 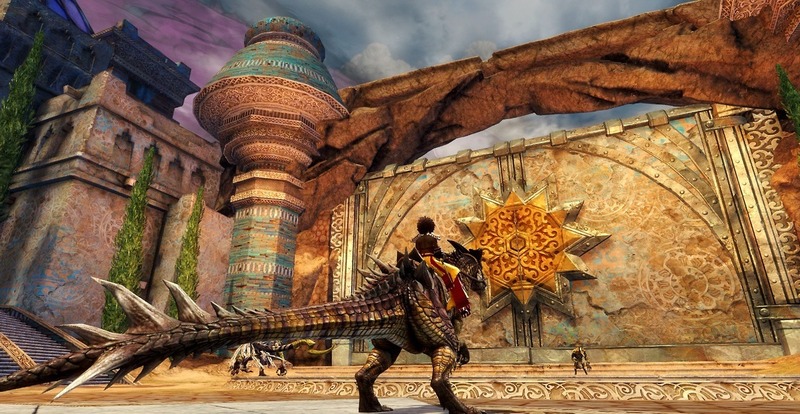 Wielding shield and spear, this profession was the focus of the main core of the Sunspears. 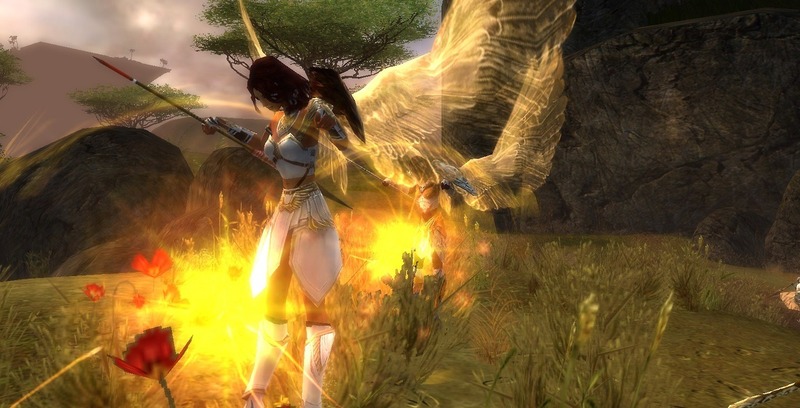 They were figures of hope and emulated what Elona was often called, the Land of the Golden Sun. 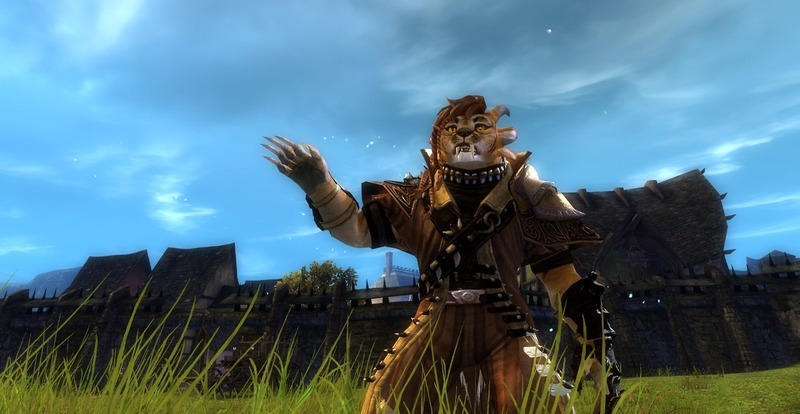 Using shouts to instill vigor, hope, renewal and fortitude in their allies, the Sunspears were the oldest and the most admired organization in not just Elona, but far into Tyria. 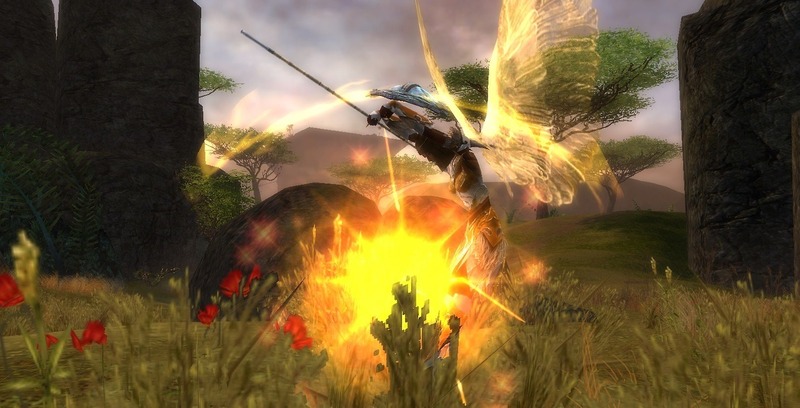 As one Sunspear is found in the Maguuma Jungles near Rata Sum, and eventually joins the group of heroes as they go off to defeat the Great Destroyer. 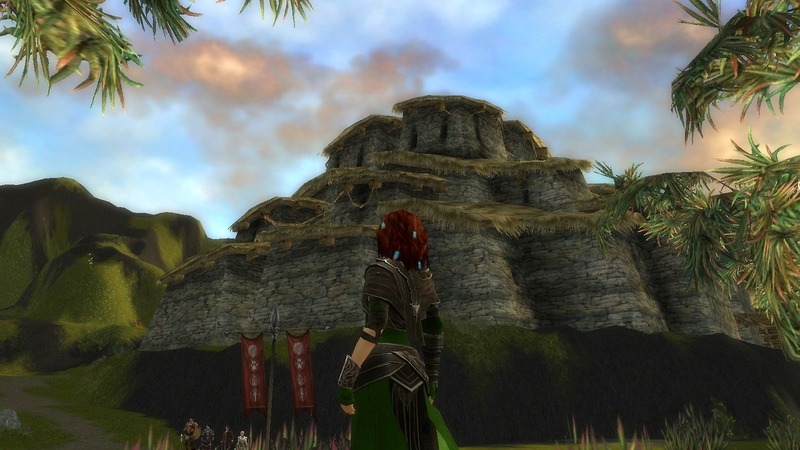 Today, the Sunspears are nearly wiped out, with only small pockets still existing. 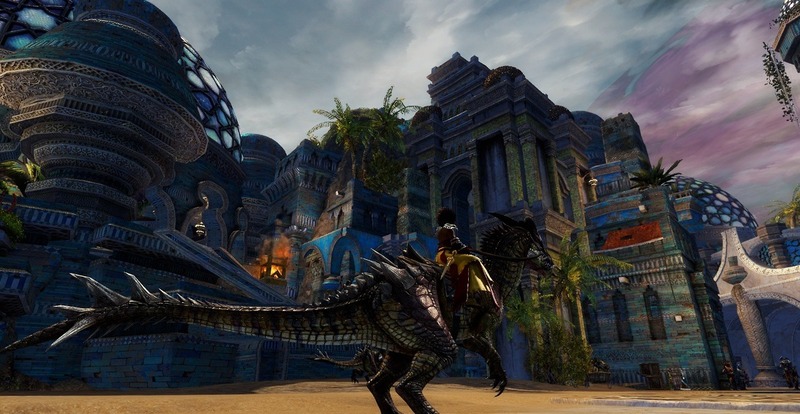 The Mordent Crescent, former Sunspears turned by Palawa Joko, now seek out the remaining Sunspears to either turn them or kill them. While hope seems fleeting, there are still those who latch onto it. 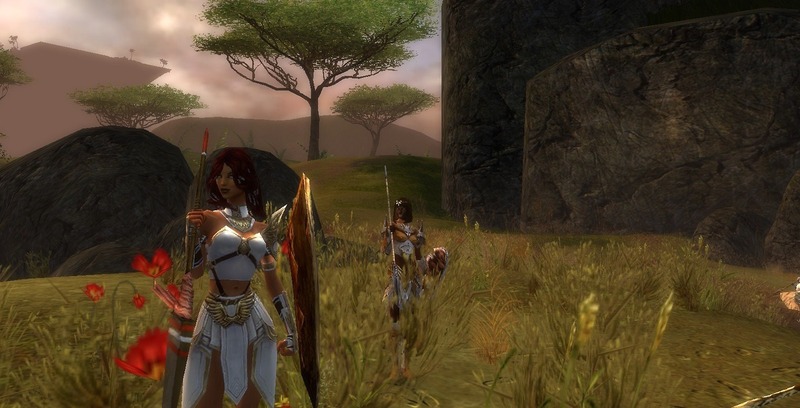 Their faith not only in the humans gods, but in Kormir, herself a Sunspear Spearmarshal, carries on. 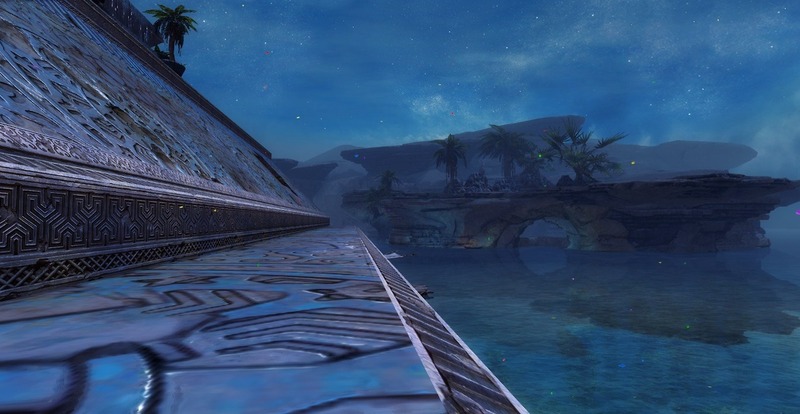 Perhaps this stubborn grip on the idea of the Sunspears will be enough to rebuild the organization, and other races will join to bring hope to Elona. 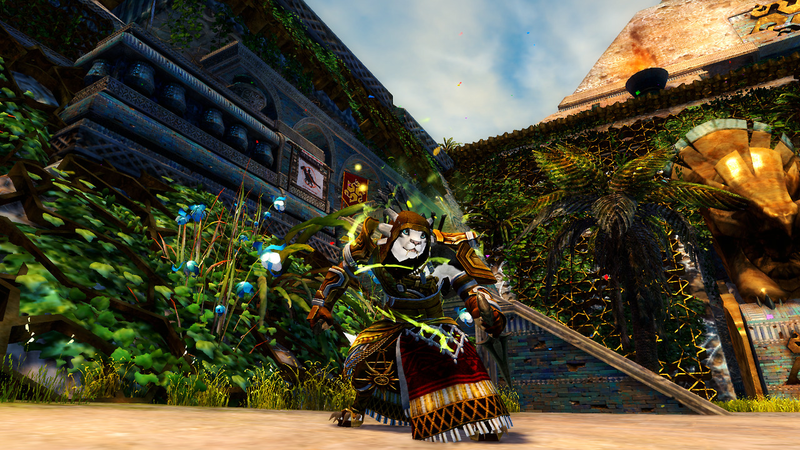 EDIT: Hayda is the Paragon that is an optional hero to join your party in Sparkfly Swamp. 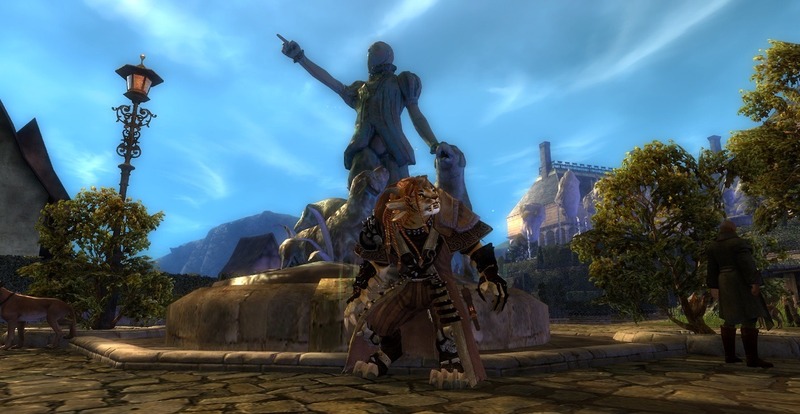 Hayda is a young, vain, and impulsive Paragon who travels simply for the fun of it. Supremely confident in her abilities, she believes her position as a Paragon sets her apart from others. There is no situation so perilous where her innate charm, skill, and natural abilities will not carry the day. 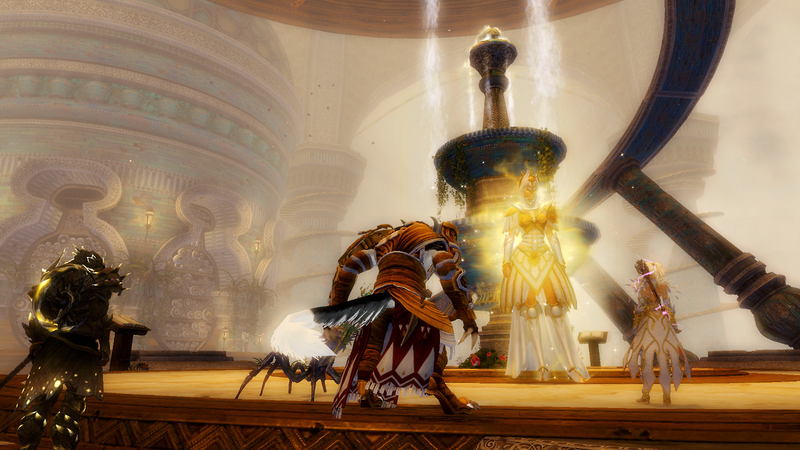 Hayda joined the Shining Blade after the Mursaat were revealed as the "unseen gods" of the White Mantle, and she now dreams of becoming a legendary hero. She bridles against restrictions, particularly those set by Livia or Bartholos. Following their orders was necessary to gain permission to travel with them to the Tarnished Coast—and there's so much to be learned here. She will not let this opportunity pass no matter what her orders. Back to then and now. 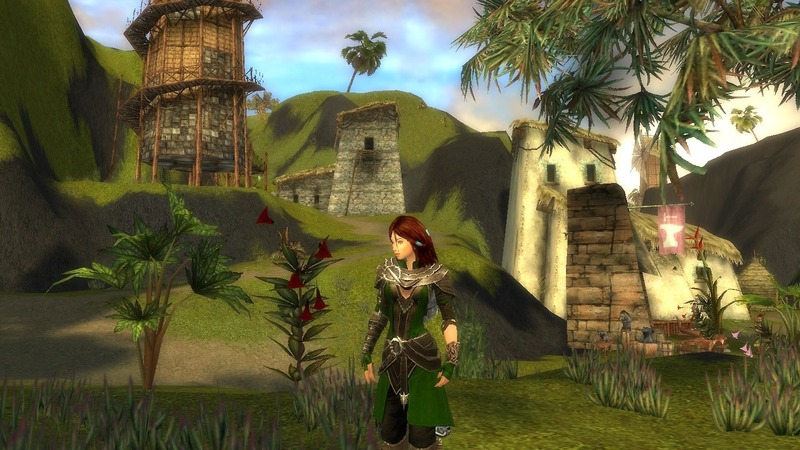 This time, fully into the northern reaches of Elona. In particular, Vabbi. The first stop is at Kodash Bazaar. 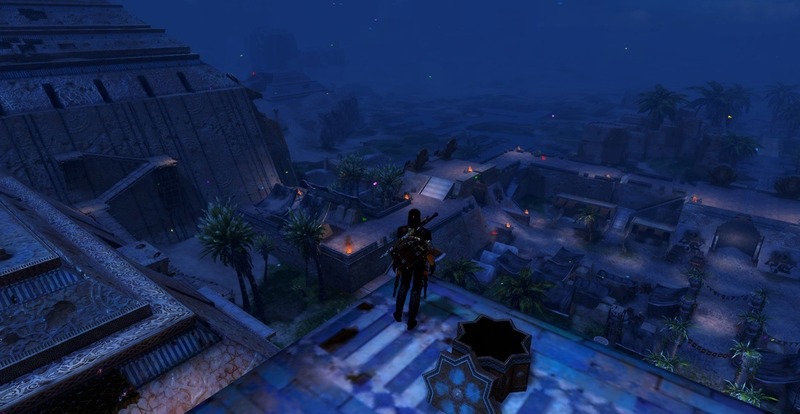 250 years ago during the time of Nightfall, Vabbi was still ruled by their own government. They were defended by the Sunspears. And there was a lot less Awakened around. And Kodash Bazaar was a lot smaller than it is today. There's something else that Kodash Bazaar had a lot less of 250 years ago. Today, Kodash Bazaar is a part of Palawa Joko's rule. 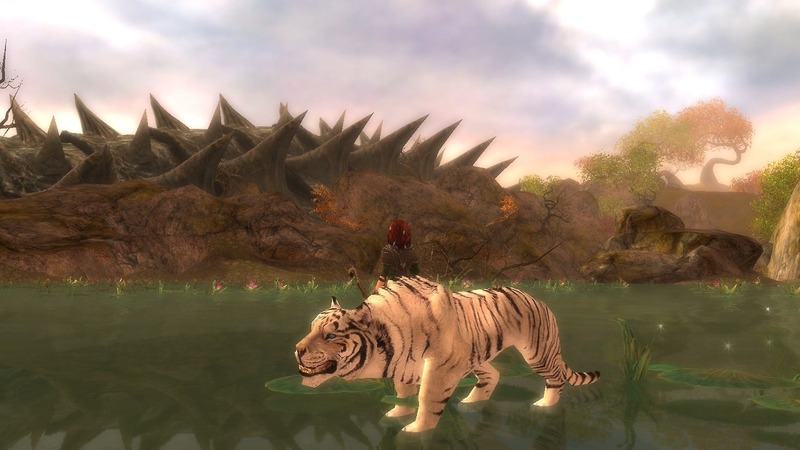 It also has the unfortunate distinction of laying right on the western edge of the Brand, a scar running from the Grothmar Wardowns in charr territory in Ascalon, all the way down to the southern reaches of the Crystal Desert. 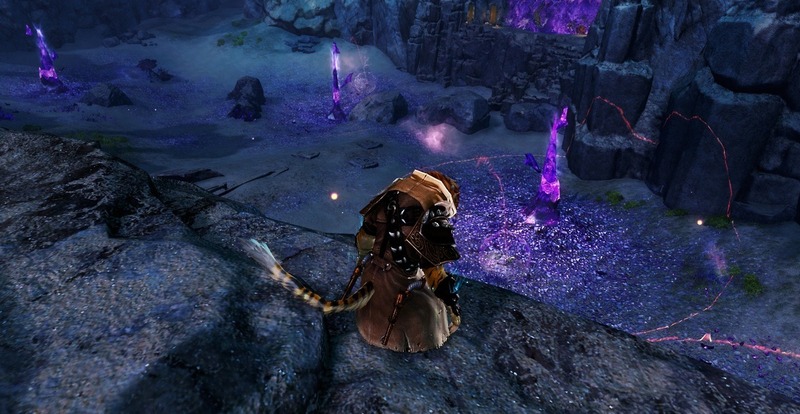 There at the southern edge, the Elder Crystal Dragon Kralkatorrik rests, waiting for his opportunity to consume all the magic of the world, thus destroying it. 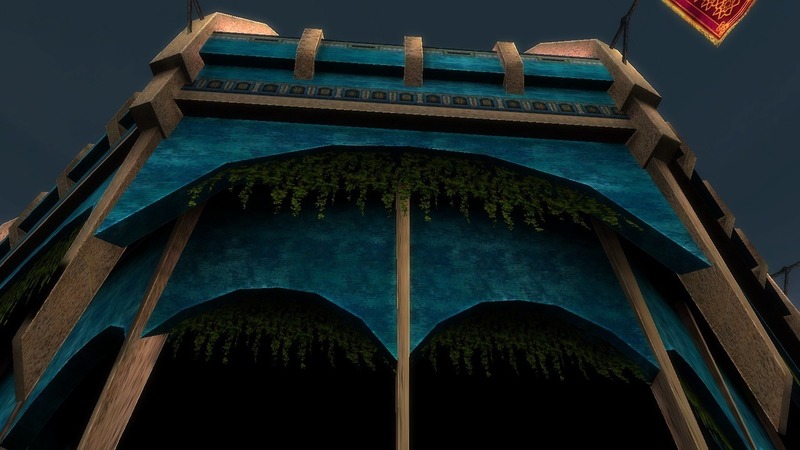 Though the eastern view of Kodash Bazaar may not be the most welcome, the small city is a beautiful place as it has grown in size and the definite cultural influence matches the rest of the Elonians in the Crystal Desert. 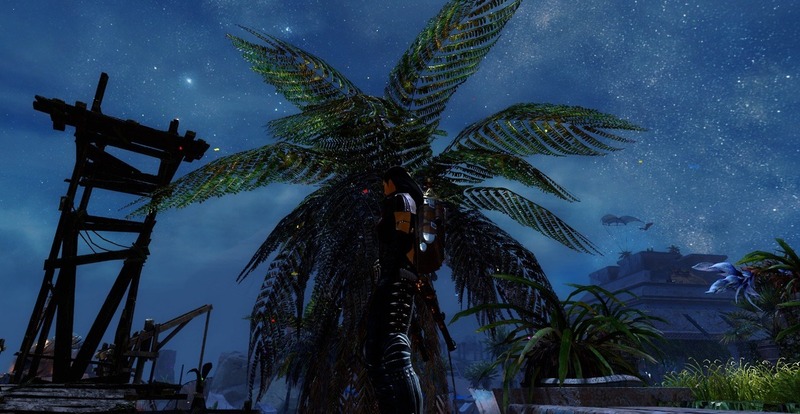 Back to Central Tyria for a moment. 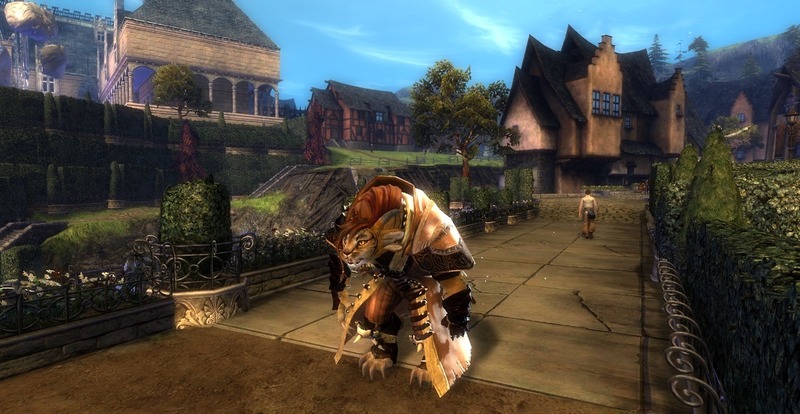 This time the location is Kryta and the Shire of Beetletun, where you might find a friendly charr who happens to live in Queensdale, though admittedly Flintlock Burnfur lives in Claypool not in Beetletun. At least Flintlock comes by her friendly nature honestly, as her great great great-grandmother Villith Argith was often willing to display. And to avoid confusion, yes Flintlock is adopted. Back to Beetletun! Today, Beetletun is a busy little town which up until recently happened to be the home of Legate Minister Caudicus. His palatial mansion now sits empty, however. 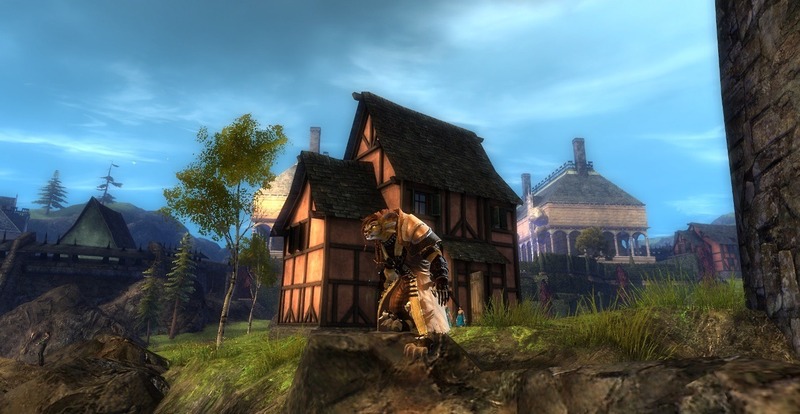 Even still, day to day life does continue in the small town outside of Divinity's Reach. But 250 years ago, Beetletun was little more than an outpost. 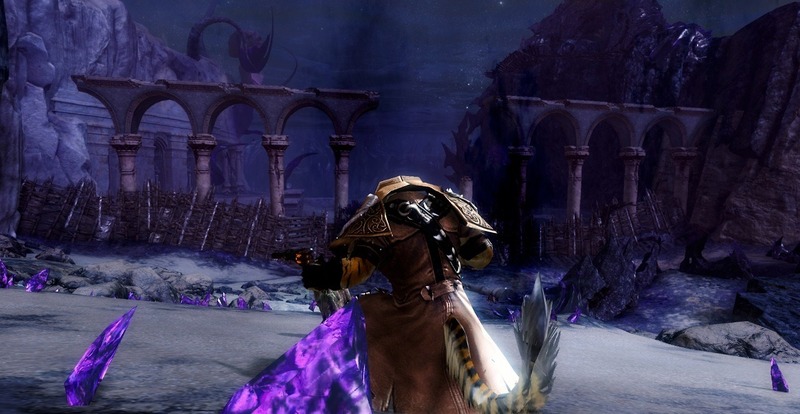 A stop on the way during the height of the war between the White Mantle and the upstart rebels called the Shining Blade. 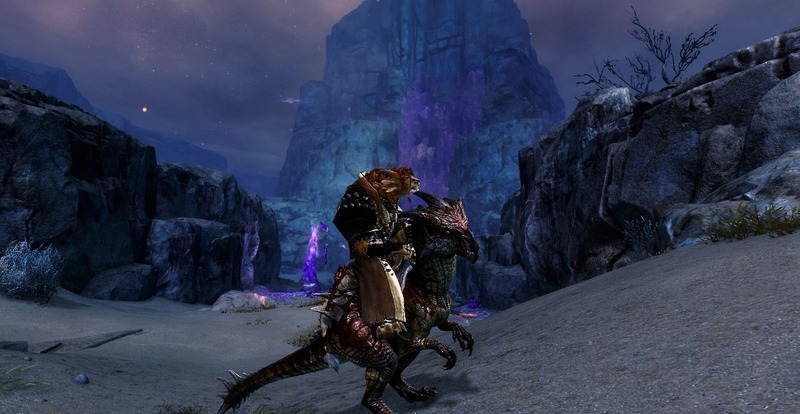 In this chapter, we explore something closer to home in the story of Path of Fire and the coming episode of Daybreak. That being Kralkatorrik. 250 years ago was a very different time. 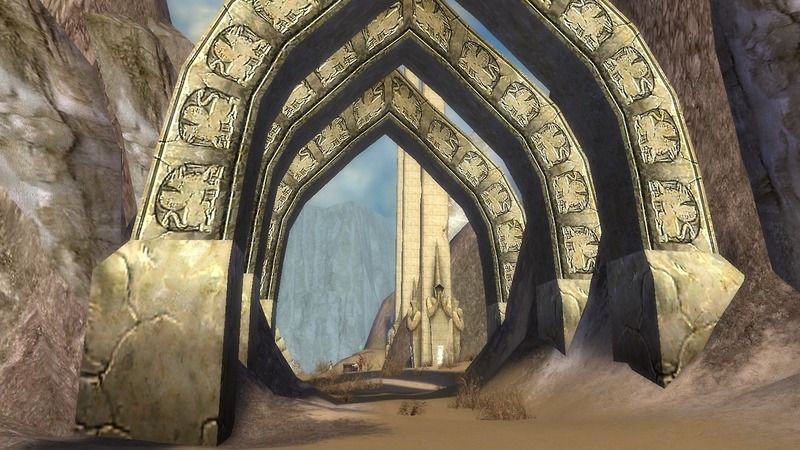 Far north, near the Blood Legion Homelands bordering the Grothmar Wardowns and the Dalada Uplands, just south of Doomlore Shrine is something very, very familiar. What appears to be a craggy mountain range is something completely different. 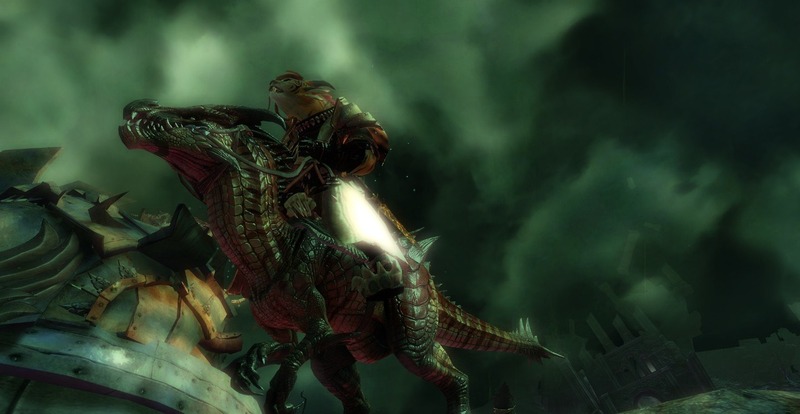 Resting in the Blood Legion Homelands and only his spine visible is the edler dragon Kralkatorrik. He seems so harmless as the people mingling about seem unaware of his presence. Today, it is much, much different. 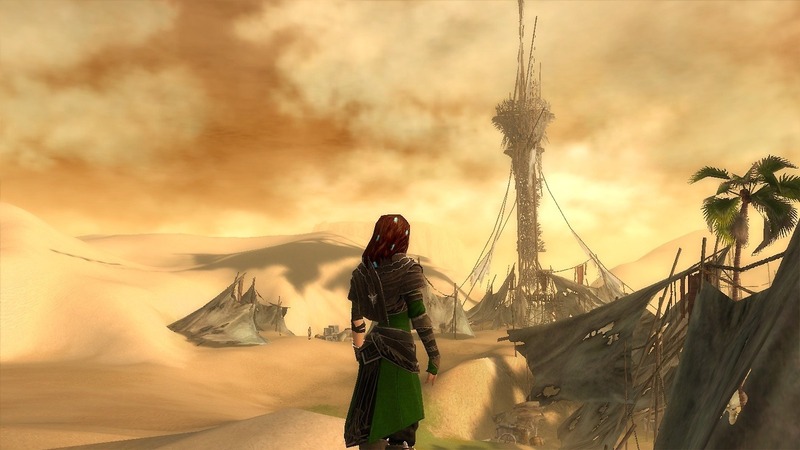 ...to the Fields of Ruin. Into the Desert Highlands, past the Tomb of the Primeval Kings. 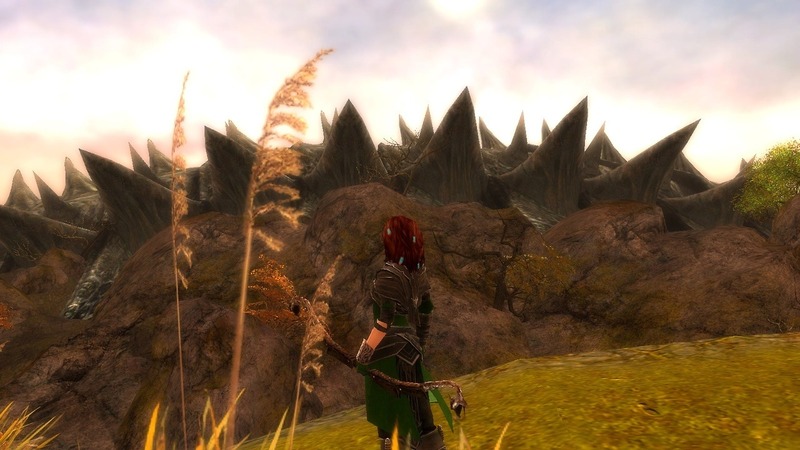 Corrupting Augry Rock and the remaining Forgotten (more on that later). 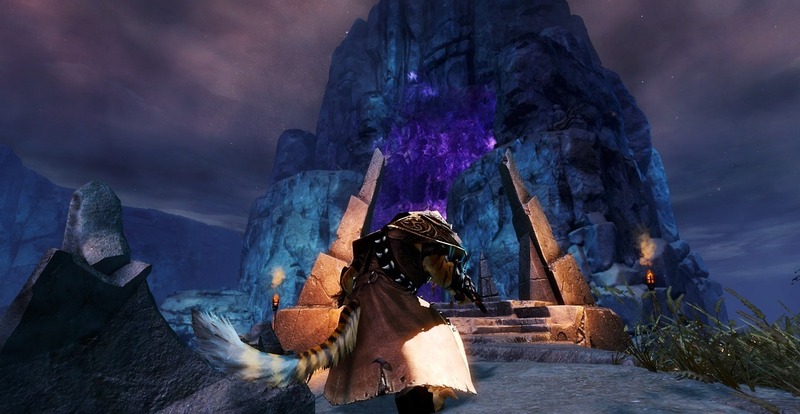 And forming a crystaline scar on the eastern edge of Vabbi. And now, Kralkatorrik has moved even further south. I said I would get to this. 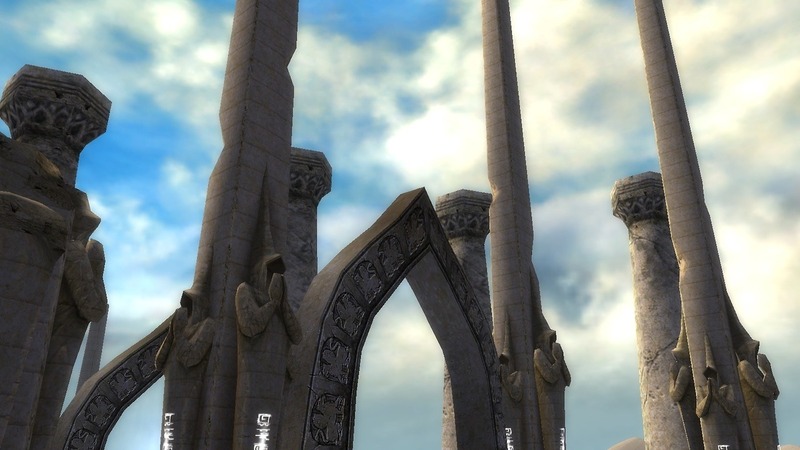 In the last post, we saw a glimpse of what had happened to Augury Rock, the place where heroes 250 years ago would ascend in order to fight against the White Mantle and the Mursaat. 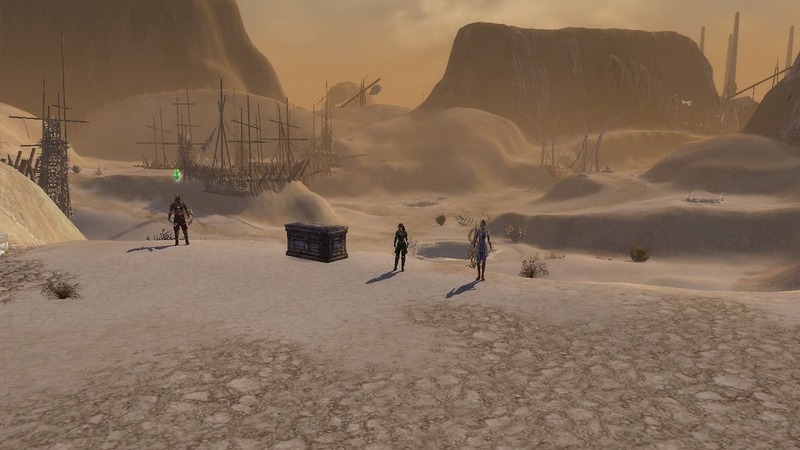 250 years ago, Augury rock was a lonely destination found in the middle of the Crystal Desert. 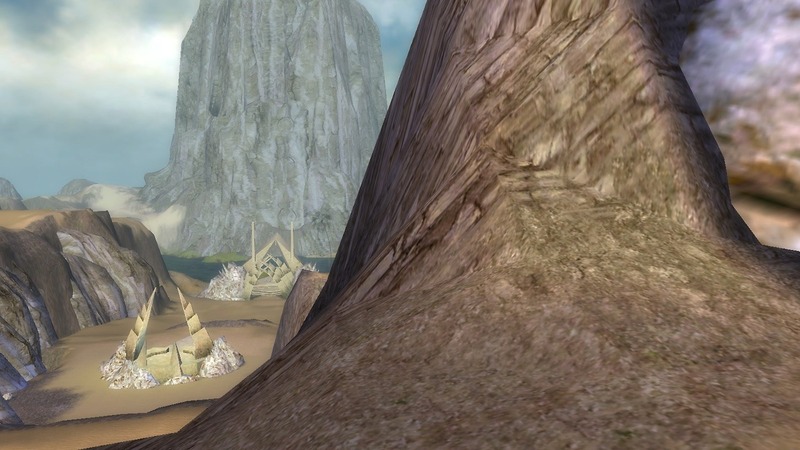 Augury Rock was the place where heroes would go to ascend, to face their greatest foe, themselves. They would fight a doppleganger of themselves and ascend as they prepared to face against the Unseen Ones. Today, there is no need to ascend to face the Mursaat in battle. 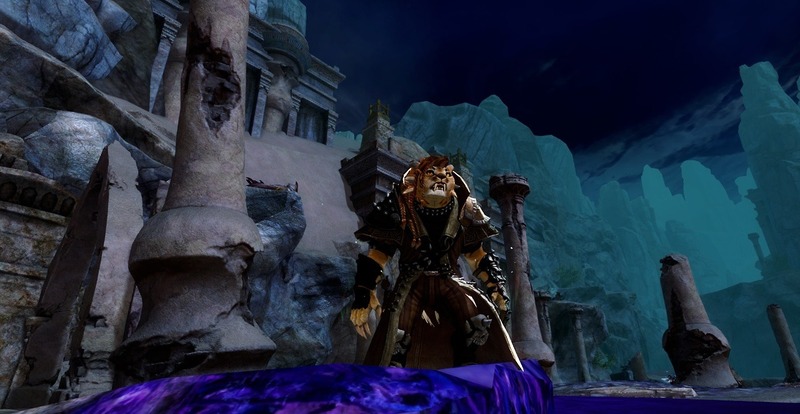 The last Mursaat was felled by Livia of the Shining Blade in Siren`s Landing. And Augury Rock just isn`t the same as what it used to be. 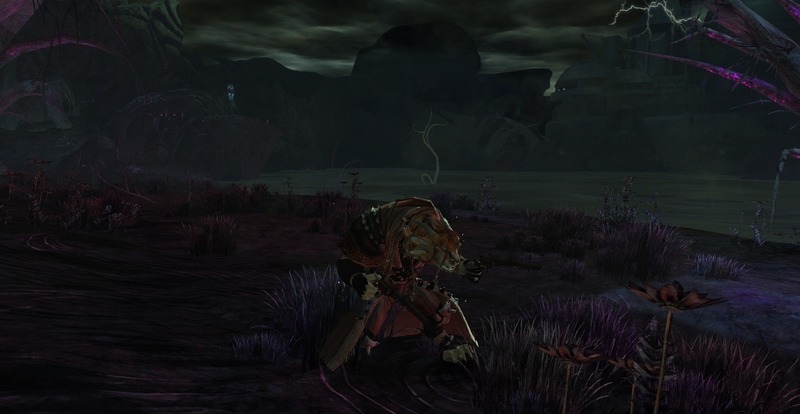 Corrupted by Branded, even the Forgotten have fallen victim to Kralkatorrik`s corruption. 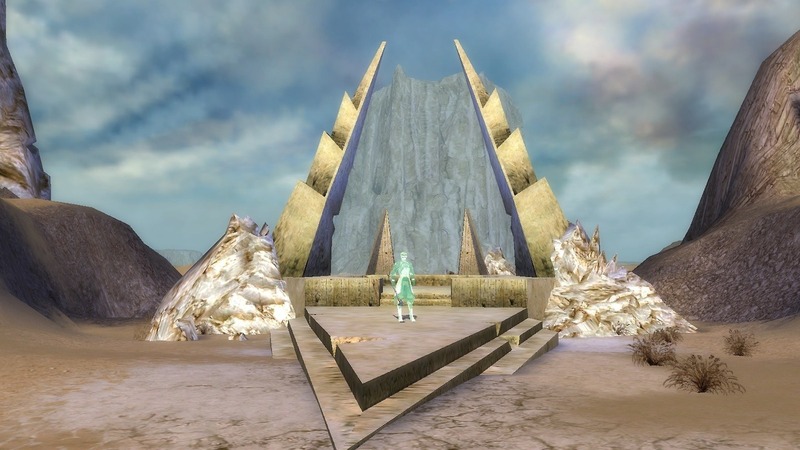 The teleporters, once used to cross the Crystal Desert and enter the arena to ascend, now closed off and only the most studious of heroes may find a way inside, only to find the elder dragon`s corruption has spread as far as it will go.